In the 1960s, most people believed that poetry ought to rhyme. 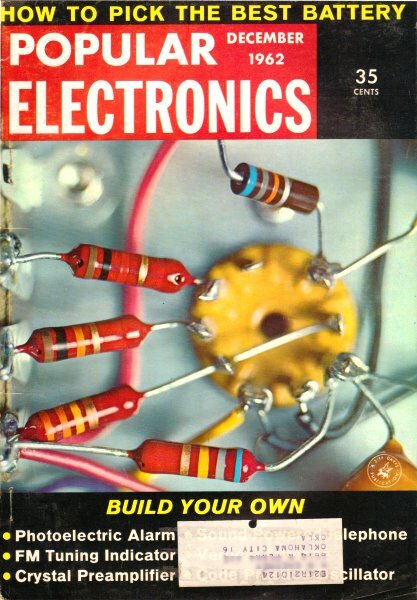 It was not uncommon to see poems appear in magazines of all sorts including even technical publications like Popular Electronics. 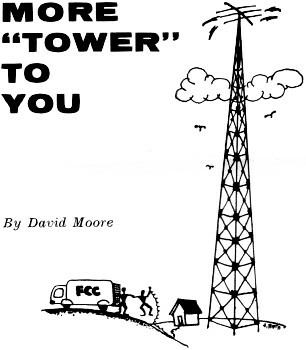 "More 'Tower' to You" is a good example. Nobody ever claimed that these reader-submitted on-subject poems were of Nobel Prize quality, but many were extremely clever and were almost sure to elicit the chuckle their authors intended; that is to say, they were humorous. What made them humorous is what is true of nearly all good humor - it contains an element of truth. Of every size and kind. And a bridge for standing wave. Those five watts he must save. It's hardly out of view. Yes, this chap's a perfectionist. And to make his signal best. Off sections three and four. Ninety feet is just too high!